Description: Celery is a biennial plant, 12-24 inches high, with a grooved, fleshy, erect stalk and skinny pennant leaves. The plant grows with a smooth stem and soft leaves sporting white flowers. Aromatic Scent: Celeryseed Essential Oil has a fresh, spicy and warm scent. 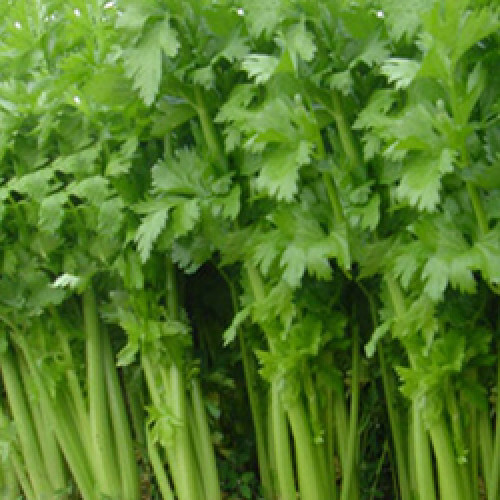 The chemical constituents of Celery seed Essential Oil have antioxidant, anti-rheumatic, antiseptic, antispasmodic, depurative, digestive diuretic, carminative, stomachic, cholagogue and hepatic, nervine and sedative (nervous) properties. It has been used in tonic, sedative and carminative preparations and as a fragrance component in soaps, detergents, cosmetics and perfumes.